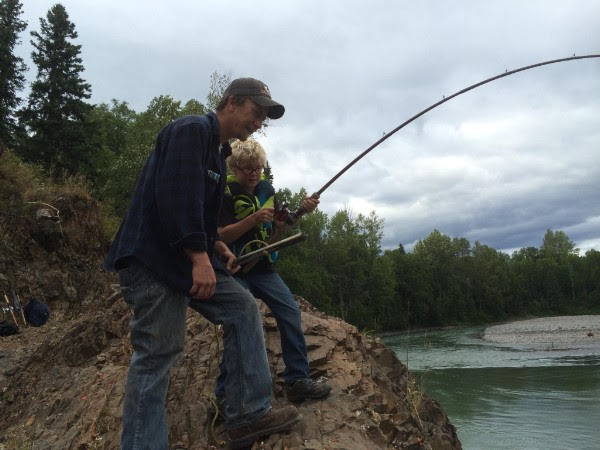 The Bulkley lakes continue to be good for rainbow and char. People are still catching fish in Rainbow Alley. 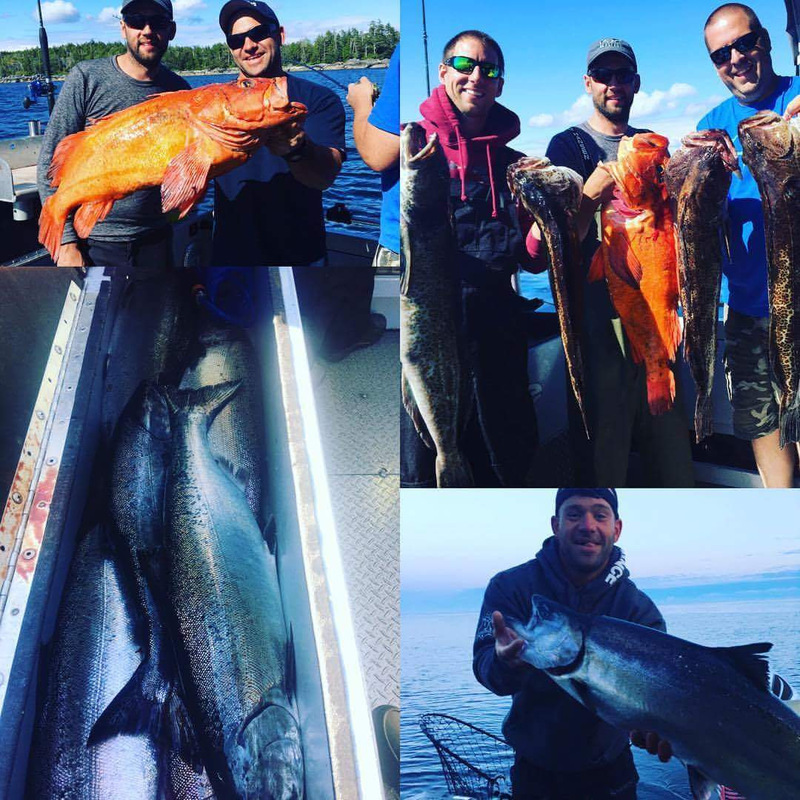 Sockeye fishing in Babine is unfortunately closed this year but don’t let the idea of not being able to harvest get you down. We fish and camp because we enjoy the time together and the time on the water. Get out and have fun anyways. Perfect your technique, learn new ones. Try different gear for different fish. Enjoy the sport of fishing! The Coho are in and they are making for some exciting fishing! These feisty salmon can be a ton of fun to catch especially when running lightweight gear with no flasher! There is still the odd spring hanging around the Rupert area so you don't want to use super light gear. If you tie into a big spring on really light gear you'll be in for a heck of a fight. I recommend a 10-20lb rated line and a 9-10ft mooching rod this time of year with a medium-fast action. This rod will be lots of fun on these lighter coho but will still have enough backbone to tackle a bigger spring if you happen to hook one. Oscars has a good selection of rods to choose from if you’re looking for the perfect salt water rod for this time of year. Out of Kitimat we are still seeing good fishing for Chinook and Coho. Money point has been very good the past week for coho. 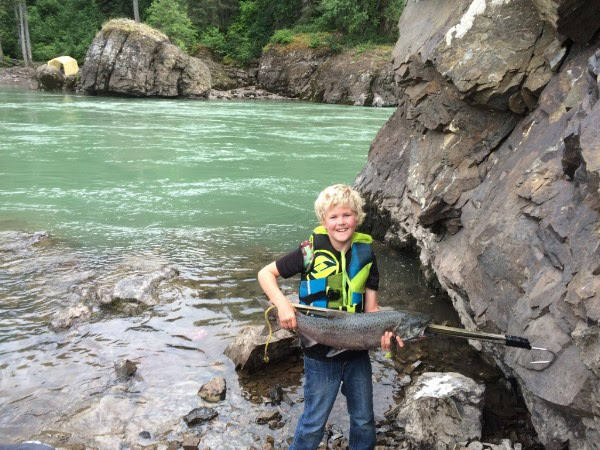 Lots of anglers have still been catching chinook(and coho) around Turtle and Mcreight points. Anchovies are the bait of choice right now as there seem to be a lot of them around in the waters down the Douglas channel. Any spoon that simulates an anchovy can be very productive as well. We were running a 3" coyote cop car spoon on one side this past weekend and did very well for coho. Ground fishing remains very good and the weather/wind has been good to those of us on the water. There hasn't been much in the way of waves the past week so the good offshore ground fishing spots have been accessible. Look for a flat plateau, 150-250ft deep with sandy bottom when fishing for halibut. We have also seen a very good rock cod and ling cod fishing over the past week. The Gibbs Hali Hawg has been very good for us lately. Oscars has 3 choices in colors with all 3 being very good for cod. If fishing shallow pinacles(30-100ft) on a slack tide then the lighter weight P-Line jigs can be very effective. Last week we caught a 25lb ling cod in 34ft of water and using the lighter jig made it super exciting. The crabbing and prawning on the coast remains good and will hopefully continue that way through the rest of the summer. salmon will continue through the Nisga’a fish wheel program. 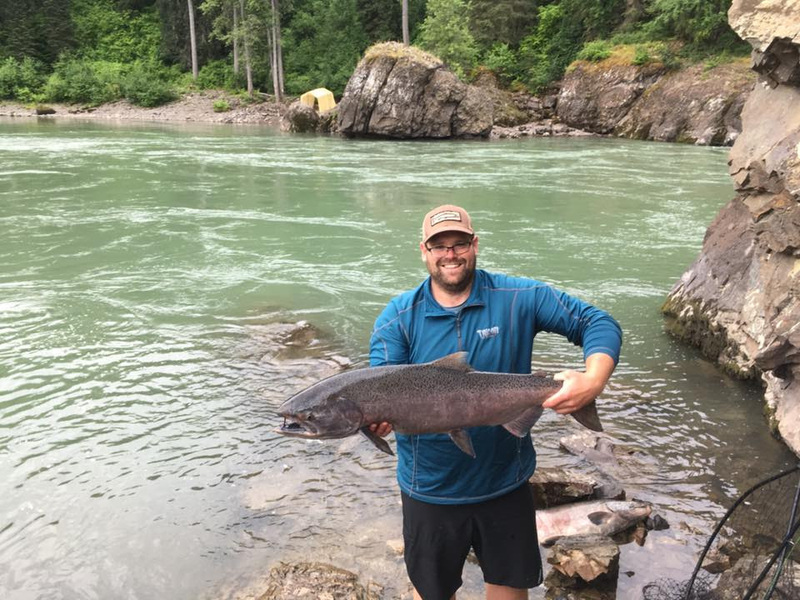 Last week the Bulkley was fishing pretty awesome! Things seemed to have slowed down a bit, but still some nice fish being caught! A couple 20’s, a 25, and even a huge 39 pounder was pulled out this past week! 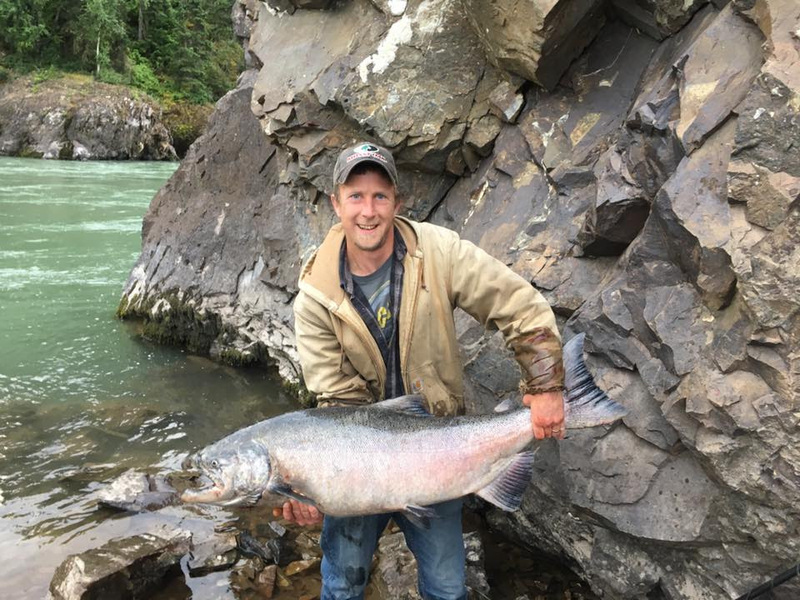 Quite a few in Moricetown, but one of the 20’s was caught in Smithers. The river has come down substantially and is a bit on the low side, but the clarity is perfect! Oscar’s has pre-tied spin-n-glo sets to make things easier for you. Don’t forget the bait ban is in effect August 1st. Your chance at 4 different salmon is here! Still some nice Chinook being caught, Coho, Pink, and Chum are also all in the system. The river has been hit with some rain and is currently a bit dirty, but if the weather holds, the Kitimat cleans up very quickly! Closed for Chinook fishing from Hwy 37 Bridge at Kitwanga to Mill Creek. 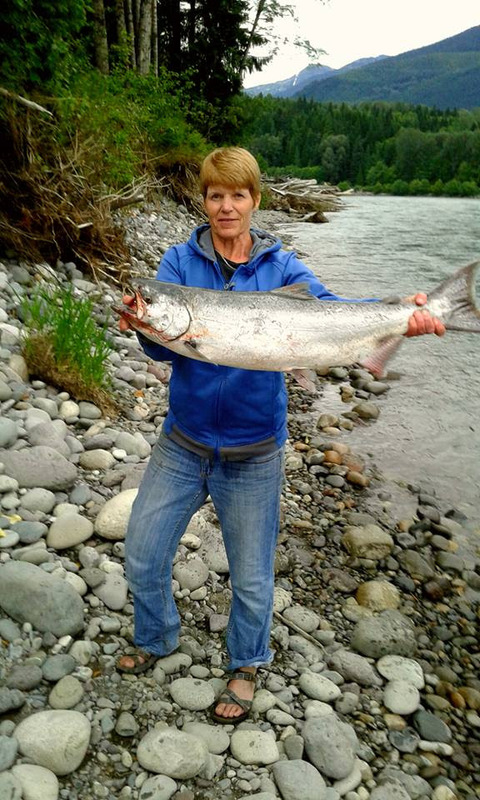 Chinook fishing has been hit and miss. Some nice 40-50 pounders being caught, but lots of ‘jacks’. Coho are starting to arrive. Terrace has had a bit of rain to bump up the water level, but visibility is still decent at 1-2 feet.